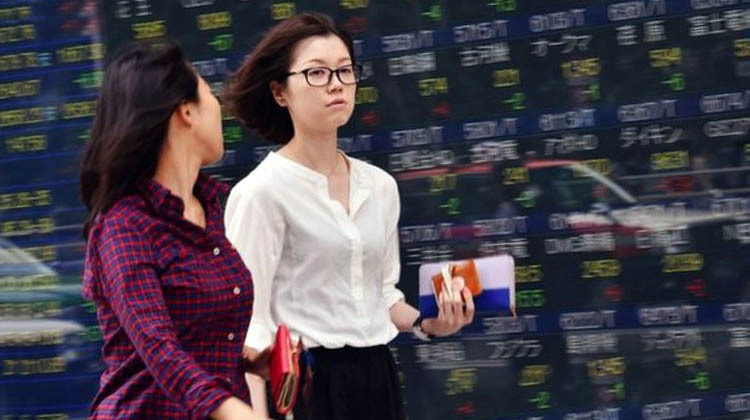 Asian markets fell sharply in early trading on Thursday as fears of rising US interest rates and global trade wars prompted investors to sell risk on a global scale. The Hang Seng Index fell 3.76% in early trading. Over the mainland, Shanghai Composites and Shenzhen Composites both fell more than 3%. The Shanghai Composite Index fell 4.34%, and Shenzhen fell about 5.42%. In Taiwan, as of 10:50 am, Taiwanese lens maker and Apple supplier Largan Precision fell 9.47% and Taiex fell 5.72%. The ASX 200 index fell 2.41%, and most sectors were lower. The country’s major banking name fell, and Federal Bank’s share price fell 2.33%. Mining stocks also fell, with Rio Tinto down 2.65% and BHP Billiton down 3.4%. The Japanese market continued to waver in the morning. The Nikkei 225 index fell 3.54%, the East China Index fell 3.52%, and the major sectors fell. On Wall Street, the S&P 500’s biggest one-day drop since February hit a massive $850 billion in wealth due to concerns about slowing demand. The Standard & Poor’s 500 index fell 3.29% on Wednesday, the Nasdaq Composite fell 4.08%, and the Dow Jones index fell 2.2%. The blood leak is enough to draw the attention of US President Donald Trump, who accused the Fed of raising interest rates.